A building built as precisely as Swiss clockwork. A valid description of the new lab at the Paul Scherrer Institute (PSI) with its giant x-ray laser, SwissFEL. 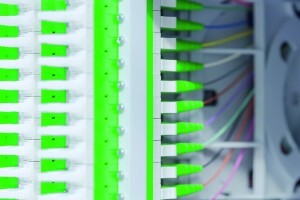 The 740-meter long high-tech tunnel required an outstanding cabling solution. 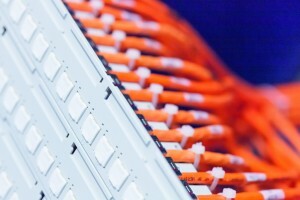 Application: structured building cabling based on R&Mfreenet with 53 FO and 720 copper links. Star structure with area distributor, five building distributors, 30 subdistributors. 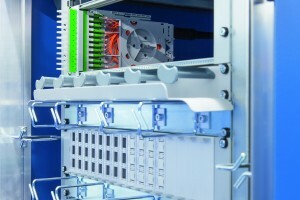 Connection solutions: E-2000™*, Cat. 6A ISO. “This is a once-in-a-lifetime construction project,” says project lead Roger Müller from Alpiq InTec Ost AG. The major new research facility SwissFEL near Würenlingen in the Swiss canton of Aargau presented the project partners with a number of unusual challenges. 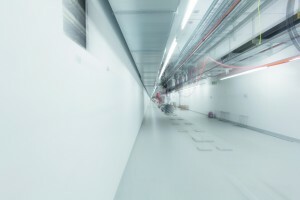 The 740-meter long tunnel for the X-ray laser lab of the Paul Scherrer Institute (PSI) has to be vibration-resistant, temperature-stable and linear over its entire length. The PSI also laid out precise specifications for the structured cabling systems. The institute requested modular expansion capabilities, long-term system warranties, and high-caliber services. An exact segmenting of the star structure and positioning of the nodes had to be developed for the length of the tunnel. As the sole supplier, R&M fulfilled all of the specified requirements for a large number of components. The modular R&Mfreenet cabling program was used as the basis for planning the data and communication network, as well as the cabling for control and security systems. “Here, instead of building at great heights, we’re working with great lengths,” says Roger Müller, explaining one of the challenges. More racks were needed than in conventional buildings in order to allow the links to be installed in 90-meter portions. The star structure is based on an area distributor, five building distributors and 30 subdistributors. Among other things, the network consists of 53 fiber-optic links with 11 km of singlemode cable and more than 4000 splices along with 720 copper links with 42 km Cat. 7 Real10 S/FTP cable. E-2000™* and Cat. 6A ISO serve as connection solutions. Michael Labonte, Lead Project Manager, Alpiq Infra AG; Giovanni Orofino, Electrical Project Manager, enerpeak Salzmann AG; Daniel Gyger, R&M Switzerland; Roger Müller, IT & Telecoms Project Manager, Alpiq InTec Ost AG. “We have noticed that quality is dropping across the market. 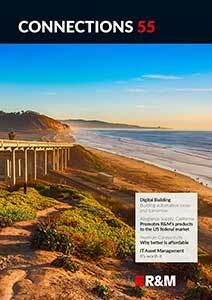 However, R&M continues to deliver high-quality services,” summarizes Roger Müller. Giovanni Orofino, electro project lead at enerpeak Salzmann AG, particularly valued R&M’s rapid provision of expert information and its technical documentation. The scope of R&M’s services extended right up to the measurements for the optical fiber installation.